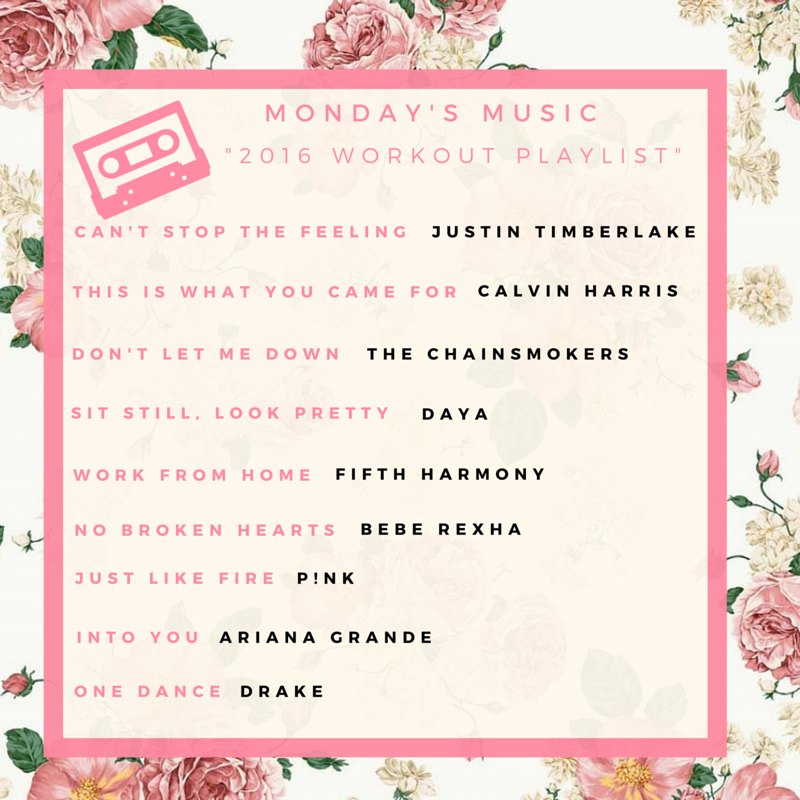 Happy Fourth of July and welcome to another edition of Monday’s Music! I know it’s been a while since the last Monday’s Music (almost three months, yikes!) but let me explain. For a while now, I’ve been feeling a little uninspired when it comes to these posts. Not because I’ve stopped wanting to come up with different playlists (I LOVE coming up with these themed playlists) but because I’ve been trying to come up with fun new ways to share these playlists with you all. When I first started my Monday’s Music posts (back in 2013), I would simply share nine songs that went along with a certain theme (i.e favorite albums, favorite 80s songs, etc). Then as time went on, I started sharing little fun facts about each song and why I choose each song for that particular playlist. Still, I felt like something else was missing for these posts — a cute graphic to go along with them! After spending a few weeks trying to come up with a better way to present these playlists, I think I finally found something I like. Now, instead of sharing just album covers, each Monday’s Music playlist with come with a fun little mixtape inspired graphic (yay!). • Can’t Stop The Feeling. I’ll admit it, when I first heard this song I wasn’t a big fan of it but since it plays on the radio CONSTANTLY, I’ve grown to really like it. • This is What You Came For. What I love about this song is that it’s perfect for basically ANY playlist! I can listen to this song while in the car, working out, getting ready for the day, it literally fits every situation. • Don’t Let Me Down. Ever since I saw The Chainsmokers at Lollapalooza last summer, I’ve grown to really like their music (bonus fun fact: The Chainsmokers have liked several of my IG pictures!). • Sit Still, Look Pretty. I LOVE this song so much! I can’t explain it but for some reason it just makes me smile whenever I hear it. I particularly love listening to this song while I’m biking. • No Broken Hearts. Oddly enough, I don’t think I’ve ever heard this song on the radio (yet). • Just Like Fire. Whenever I’m working out and I start to really feel the burn, I ALWAYS crank this song up. It just gives me that extra push I need to keep going!